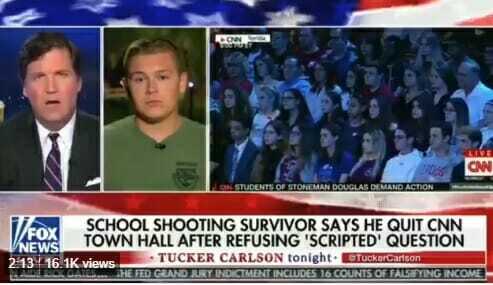 On Wednesday night Parkland student hero Colton Haab told reporters that CNN opted to leave him out of the televised Florida town hall debate because he did not agree with their anti-gun narrative. TGP’s Cassandra Fairbanks wrote about Colton last night. 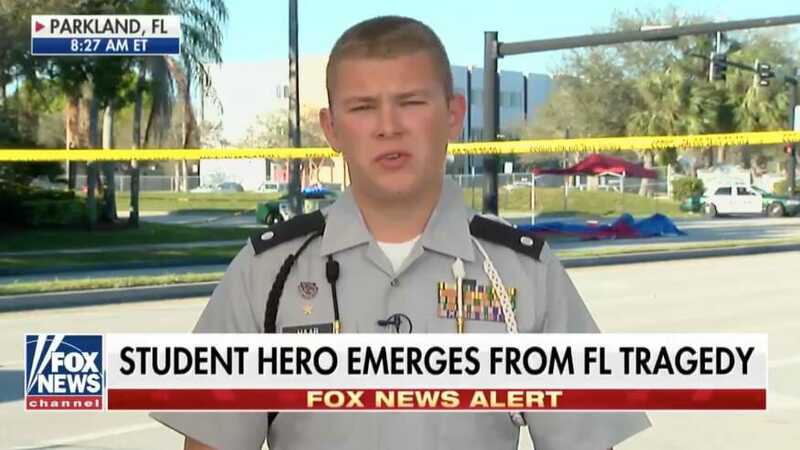 Despite his heroism, the student told the Local 10 News that he was not allowed to ask his prepared questions at the CNN event. “CNN had originally asked me to write a speech and questions — and it ended up being all scripted,” Haab told a WPLG reporter. CNN today called Colton Haab a liar. Thursday night Colton Haab told Tucker Carlson that CNN producer Carrie Stevenson was the person who censored him during the CNN town hall. Haab told Tucker that Stevenson told him over the phone that he needed to stick with the script.